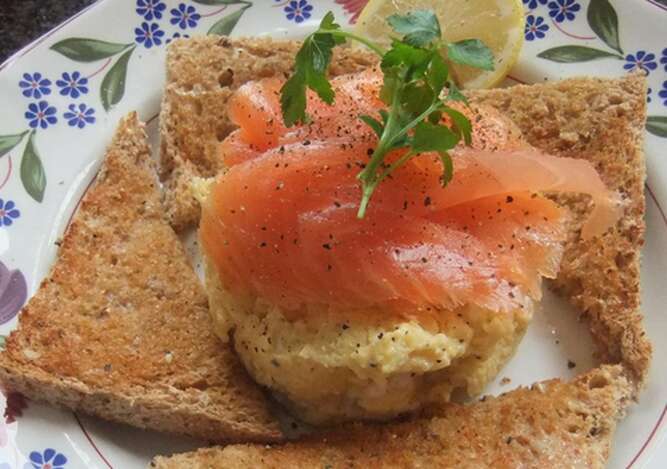 Our award winning breakfast at Arden House is served between 8am and 9am (earlier on request). Relax at your own table and enjoy the most important meal of the day in our newly refurbished dining room with its log burning stove for cooler mornings and patio doors opening into the garden for those warmer summer days. We are happy to cater for special dietary requirements - please let us know at time of booking and we will do our best to accommodate. Poached Eggs on Toast ? 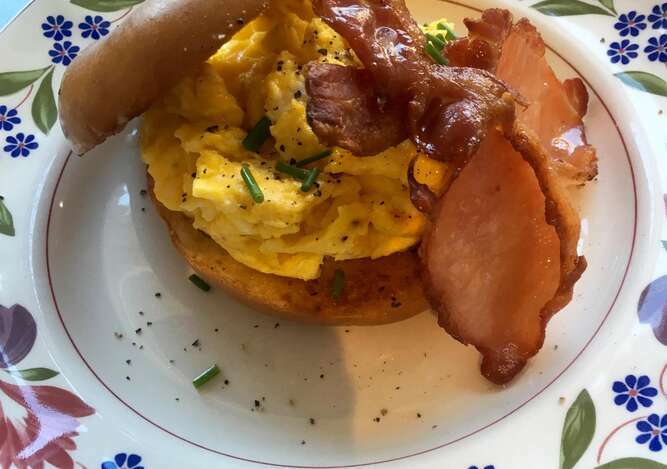 We take pride in knowing the provenance of the extensive range of Scottish produce on our breakfast menu and use only the very best of ingredients - all of which are, wherever reasonably possible, sourced locally. Our dry cured bacon, traditional pork sausages and haggis are supplied by butchers in the local area. The smoked salmon is responsibly farmed in Scotland. We use Scottish vine tomatoes, mushrooms and locally grown fruit when in season. In the garden we grow our own rhubarb, herbs and apples. Eggs are free-range and supplied by the girls at Johns Chicken Ranch in nearby Keltie Bridge. 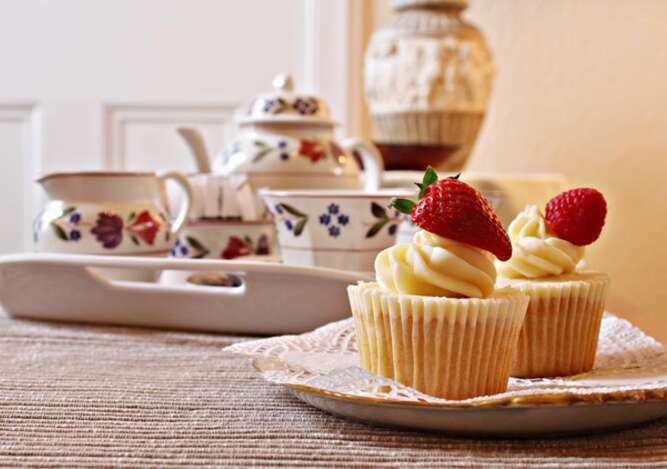 Our scones and cakes are lovingly made in the Arden House kitchen. The preserves, honey and oatcakes are all produced in Scotland and often made in the kitchen at Arden House. Our teas and coffees are Fairtrade. 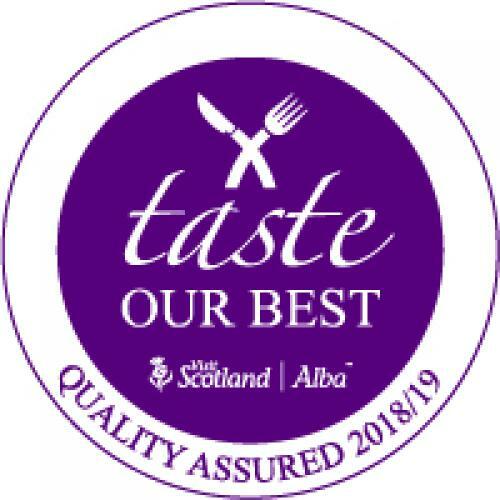 Businesses that achieve the Taste our Best award are committed to serving quality Scottish produce, prepared with care and delivered with passion. Arden House is very proud to hold this award.